When Christoph of CHV asked me for suggestions for FCP plugins it took me exactly 2 seconds to reply. 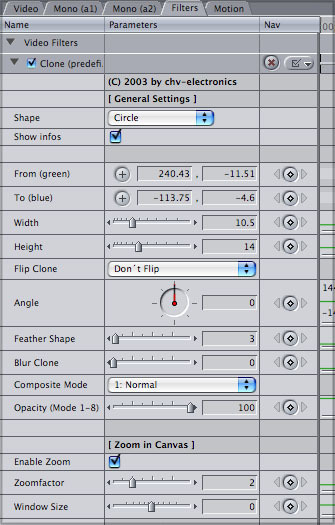 "I want a Clone tool like the one found in PhotoShop". Now a short time later I am working with two Clone tools from CHV. The Pre Defined Clone tool with built in shapes and a Variable Shape Clone tool that lets you create an exact custom shape with up to 24 settable points to outline a shape. Drop the Clone plugin onto a clip in the TL and open the filter tab in the Viewer. 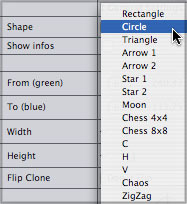 I have selected circle as my shape. In the Canvas you will see two circles, a green and a blue. The green circle represents the source of the clone, the blue the destination. Simple enough to use. Click on the "From (green)" + in the filter tab, then click in the Canvas to select the area you want to clone. Then click on "To (blue)" + in the filter tab and click the area that you want the clone to be applied. Nothing could be easier. Shape, selects a Pre defined shape, above. Show Info, shows the source and destination targets of the clone areas in the Canvas window, green and blue color coded. From and To: click on the + and then click in the Canvas to set the position. Angle, rotates the destination clone shape, used for subtle adjustments. Feather Shape softens the edges of the destination clone. Blur Cone applies a blur filter to the cloned image. 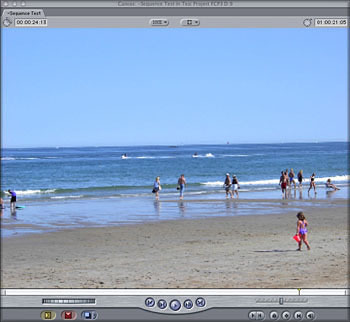 Composite Mode offers standard FCP Composite Mode functions like Screen and Add. 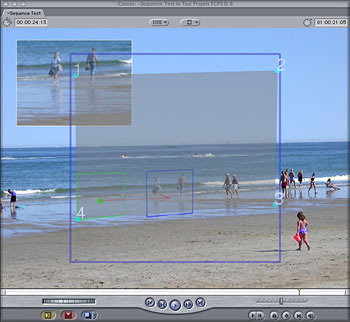 Opacity controls the opacity of the cloned image and can be keyframed. Enable Zoom, places an enlarged image of the clone area into the Canvas for more accurate selection. 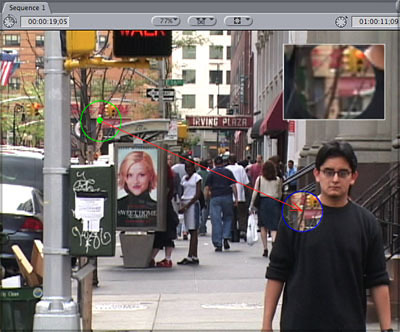 Zoom factor, changes the magnification of the image in the Inset window. Window Size controls the size of the Inset window. There will be times when the shape of the object that you want to clone is irregular or multisided, the Variable Shaped Clone tool enables you to set as many as 24 points to outline the desired shape in the same manner as a 'garbage matte'. The Variable Shaped Clone Tool works in the same way as the Pre Defined Clone tool but has two addition feature sets. At the top of the controls is a 'Canvas' box which enables you to have four different work views in the Canvas window, below left. 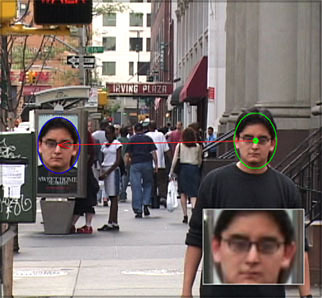 Clone-Areas: Shows the Source and Target areas and the shape of the cloned area. Clone-Areas and Overlay shape: This is the view that you will use to set the different points of your clone matte. The Clone shape with points is overlaid onto the Canvas. Only Shape (big): This mode shows the clone shape, full-screen without video, below right. Final: This setting previews final art without any overlays. 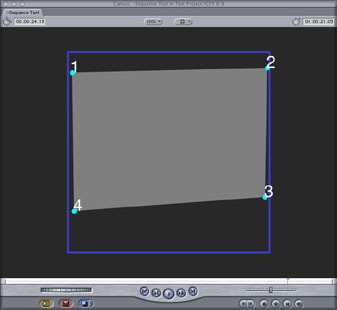 This is used for previewing only, when you render, the final result will be rendered without overlays. There are a total of 24 points that can be set to outline the clone shape. 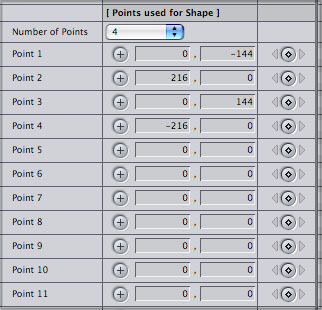 Before starting work, set the number of points you want to use, click on each numbered '+' in the filter tab then click in the Canvas to set the point. 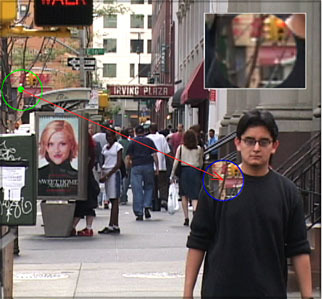 In the example below I wish to remove the couple in the center of the screen. 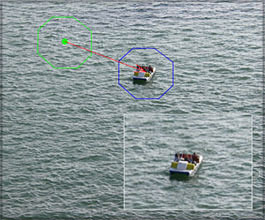 An area of beach and ocean is selected to clone onto the couple, with care given to match the backgrounds of the source and target areas. You will notice that the horizontal lines of the clone shape are not parallel to the Canvas window but rather are parallel to the horizon. 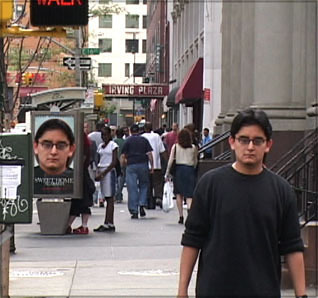 This enables the clone to merge seamlessly with the background. The Clone tools from CHV are excellent. They are very easy to use and work exactly as advertised. You can refine the shape of the clone area, rotate the target clone to fine tune the position and feather the edges to blend the clone into the background. There is a blur function as well as an opacity slider. The target clone can be flipped either vertically, horizontally or both. In addition, all of the standard FCP 'Composite Modes' are available and can be applied to the clone to create special effects. 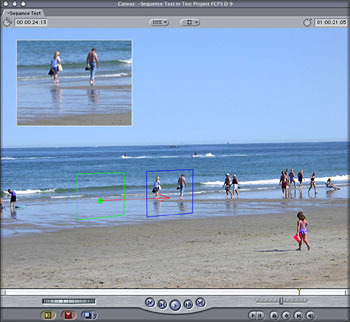 All of the attributes of the Clone tool (except for Composite mode) are keyframeable allowing you to track and adjust your clone through the duration of a video clip. I asked for a clone tool like the one in PhotoShop, what I got was a clone tool like PhotoShops', but with additional features. 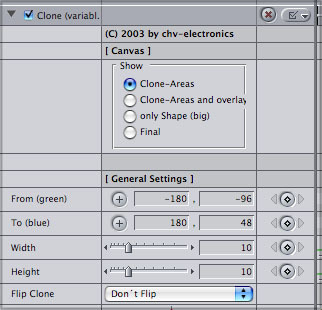 So who do I write at PhotoShop to request that some of the CHV Clone tool features be added?